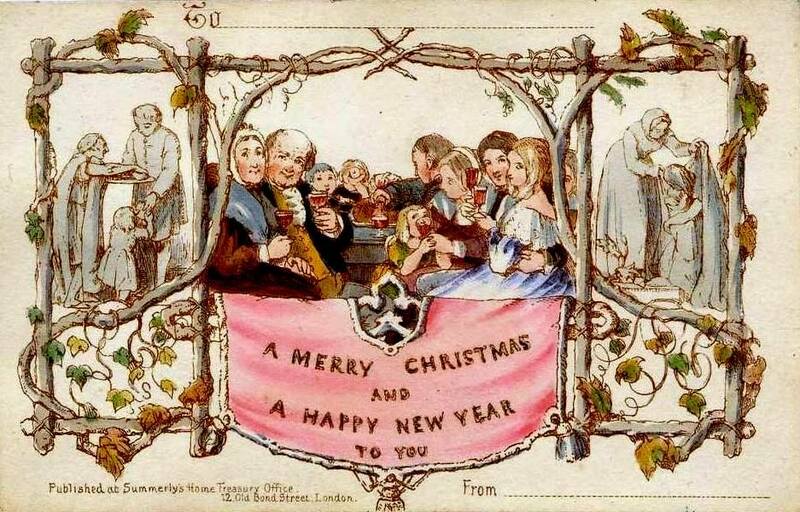 The idea of sending Christmas Cards came from Sir Henry Cole in 1843. The first card cost about 1 shilling, a tidy sum of money in those days. Together with his friend, artist John Horsley, they designed and sold about 1,000 cards, in part to encourage people to use Britain’s new Postal Service. Interestingly the two side panels show people feeding and clothing “the poor,” while the center panel shows a family at Christmas dinner. Celebration and compassion were always meant to be hyphenated to each other. This is a tradition that dates back to ancient Israel where the people believed that God expected, even commanded, that widows, orphans, aliens and “the poor” were included in and provided for during all national feasts. In these last few days before Christmas please remember and support Yonge Street Mission and others as they endeavor to include the excluded and care for Torontonians who know want. May our abundance of Blessings spill out to all during these Holy Days.